This is one of my go to recipes when I make stuffed zucchini for dinner and save the middles. Check out my link at the end of my recipe for the stuffed zucchini recipe . This baked Blueberry Zucchini Bread is moist and perfect with that first cup of coffee in the morning! I never throw out the scooped out parts of zucchini. I save it and freeze it for later. Here is what I do, I scoop out the centers of the zucchini, make stuffed zucchini for dinner. Save the middles of the zucchini chopped up, placed in a freezer bag. 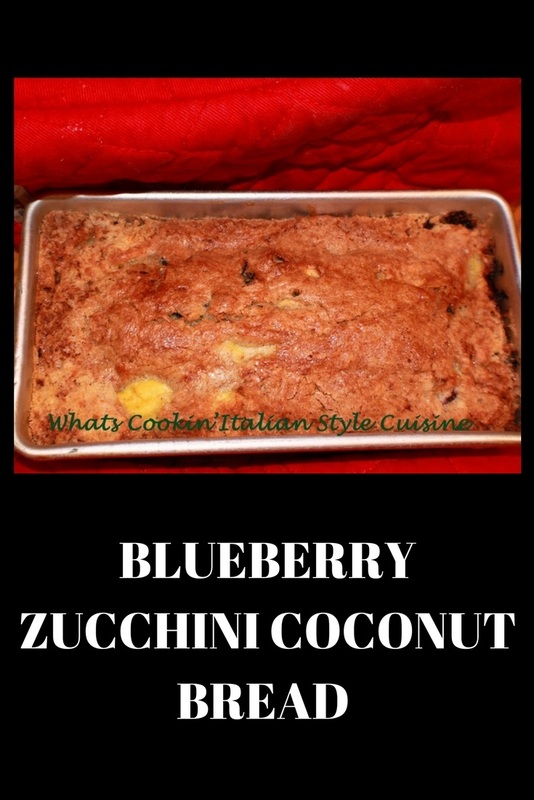 Then freeze it or use it to make this blueberry, zucchini coconut bread for dessert. If I happen to have everything in the house then I make this bread right away, most of the time, I don't have the fruit. We really love this recipe. The coconut gives it such a tropical flavor. I just wanted to give you that tip because I rarely buy zucchini just to make this recipe. I love the idea that the frozen leftover zucchini works so well. When I make stuffed zucchini I usually have at least 6 zucchini middles chopped up and frozen that makes around 2 cups. Just don't waste it or throw it away, it makes the best breads! Heat oven to 350 and prepare pans by greasing and flouring two 9x5x3 loaf pans. In a large mixing bowl beat eggs, oil and sugar together, Stir in the baking soda, powder, salt, cinnamon and flour, blending all together until evenly mixed. Add the berries, coconut and zucchini until well combined. Pour into the prepared pans and bake at 350 degree hot oven for 1 hour or until browned and toothpick comes out clean in the middle. Cool 10 minutes then invert to wire rack to cool. These freeze very well also. 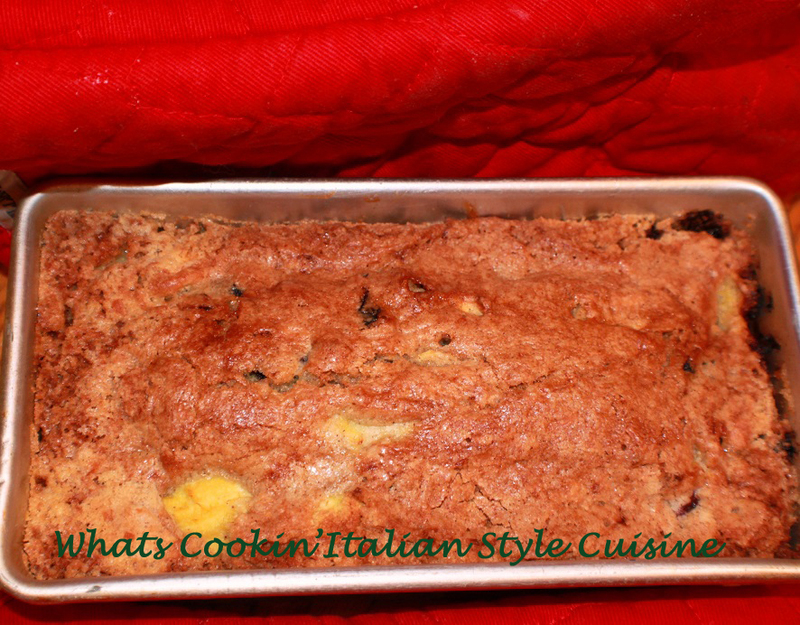 Stuffed Italian Style Zucchini CLICK HERE.